Problem pipelines should depict your after sales process using statuses as the different stages of the process. Please note that you can have multiple Problem pipelines, if you have more than one after sales process. A Problem pipeline will include a series of statuses sequenced in a particular order that the customer service query should go through. 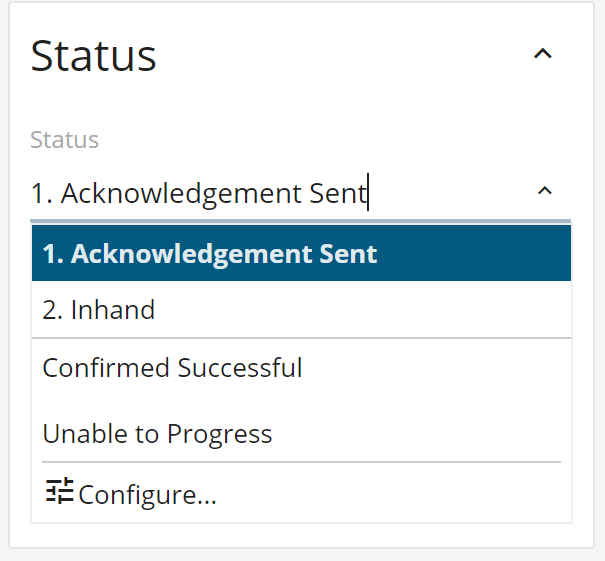 For example your first status may be 'Acknowledgement Sent' & the next could be 'In Hand', then finally having either 'Confirmed Successful' or 'Unable to Progress' as your closing statuses within the pipeline. When creating your new Problem record, you can choose the appropriate Problem pipeline from the 'Pipeline' drop down. 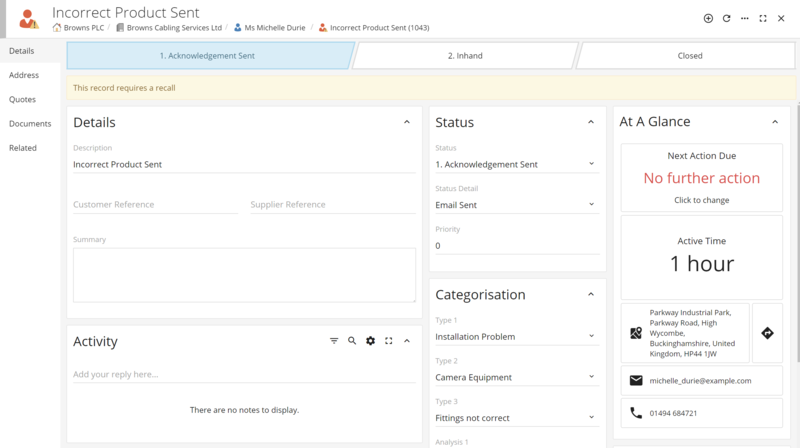 This will then automatically set the new Problem record to the first status within the pipeline, which in this example is 'New Customer Complaint'. To help you identify the sequence of the statuses within the pipeline, they're numbered. If you click create once you're happy with the information entered for your new Problem record, you will be able to see exactly which stage this Problem is in within the pipeline. 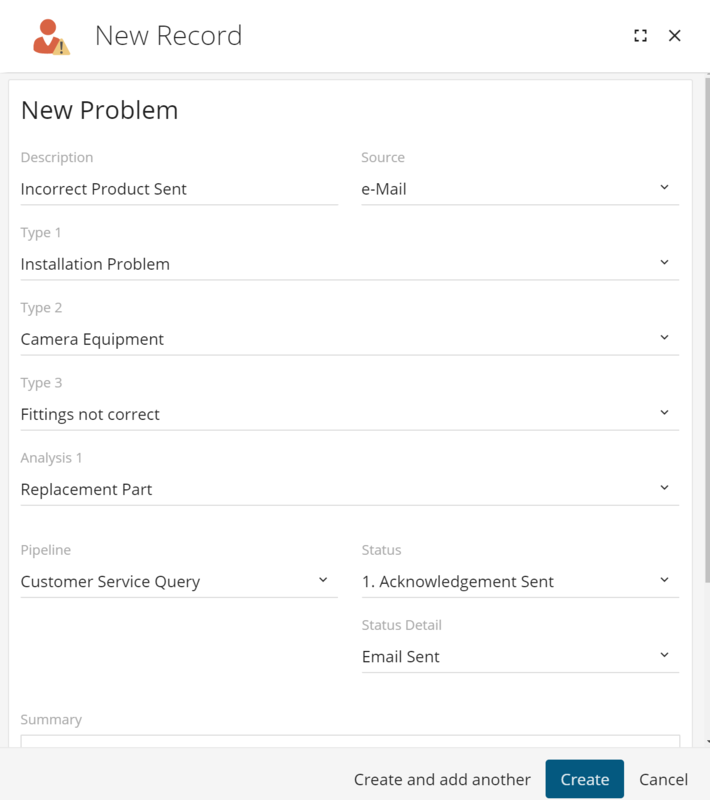 Along the top of the Problem record, you can see all the statuses included within the Problem pipeline. Please note that some of these statuses may require a recall. To move the Problem through the pipeline, you just need to change the Problem status from the 'Status' drop down. Please note that you can go back to a previous status if required. If you have administrator rights & would like to configure your Problem pipelines, please see the Admin User - Configure Problem Pipelines article.